the media who have joined hands to urge the Government of the Lao PDR to invest all their resources and capacities in their ongoing investigation of Sombath’s whereabouts, and to return him safely to me and to my family. We are most grateful and deeply touched by such show of solidarity for Sombath’s well-­‐ being. While many articles and statements written about Sombath’s disappearance and urging his safe return have been helpful, some of the reports and comments also contain some factual errors or speculations. My greatest wish is the personal safety and well-­‐being of my husband, Sombath, wherever he is. For this reason, I urge all well-‐wishers not to stray away from the facts or to misrepresent Sombath or the nature of his work. Sombath was last seen on 15 December 2012 driving in his jeep behind my vehicle. We were both going home to dinner. The last time I saw him from my rear view mirror was around 6:00 p.m. near the police post on KM 3 on Thadeua Road. When he did not return home that night, we searched for Sombath’s whereabouts around the area where he was last seen and also searched the city’s hospital in the hope of finding Sombath, but to no avail. On 16 December, we reported Sombath missing to the village, district and police authorities. Family searches were once more carried out in all the city’s hospitals, but there was no sign of Sombath. On 17 December 2012, a request was made to the Vientiane Municipality Police Station to view the close circuit TV footages recorded by CCTV cameras near the police post where Sombath was last seen. The police officers on duty were very cooperative and allowed us to view the CCTV footages. From the TV footages, we saw Sombath stopped by the police at the police post. We saw Sombath get out of his jeep and enter into the police post. Later a motorcyclist came by, parked the motorcycle near the jeep, running into the police post and later emerged and drove Sombath’s jeep away. After a few minutes, a white truck with flashing lights stopped by the police post and two or three people were seen getting into the vehicle which drove off in a hurry. The above facts were reported in my letter dated 17 December 2012 to the Chief of Cabinet of the Ministry of Public Security. On 18 December, I followed up by writing another letter to the Minister of Public Security, with a copy of the CCTV footage, and the report to the police. I urged the Minister to expedite the tracing of Sombath. On 19 December 2012, the Lao Government issued a statement basically confirming that CCTV footage did show Sombath stopped at the police post for what it said was a routine check of vehicle documents. It also stated that later some people were seen going into a white truck but it could not confirm that Sombath was among them. It went on to say that Sombath could have been kidnapped presumably for reasons of personal conflict or business conflict. The statement ended by saying that the government would seriously investigate the whereabouts of Sombath and return him safely to his family. On 26 December 2012, I was asked by the police to go to the Municipality Police Station, where I was asked to provide basic information about Sombath’s background, his family, his work, and my background and my work. My niece, my sister-­‐in-­‐law and and Sombath’s colleagues at PADETC were also questioned by the police. On 04 January 2013, the Lao Ambassador based in Geneva, Mr Yong Chantalangsy, issued another statement once more stating that Sombath was not in police custody, and repeated that Sombath could have been kidnapped. I have at no point refuted the government’s statement. In all my interviews with the press and in all my public statements, I have appealed to the Lao Government to expedite the investigation, find Sombath and to ensure his safety and quick return to me and the family. I also stated that Sombath has a medical condition that needs daily medication and that once returned to me, I would take Sombath to seek medical attention abroad until his full recuperation. Over the last 30 years Sombath has worked openly to support the government’s policy of enhancing food security and improved livelihoods in the rural areas, promoting appropriate technologies in water and sanitation, improving teaching and learning in schools, and supporting human resource capacities, especially of young people, through training in leadership skills and community service. In recent years, he has worked closely with the Sangha to train monks to support the government’s drug reduction/rehabilitation programs and care and support for HIV infected/affected people. 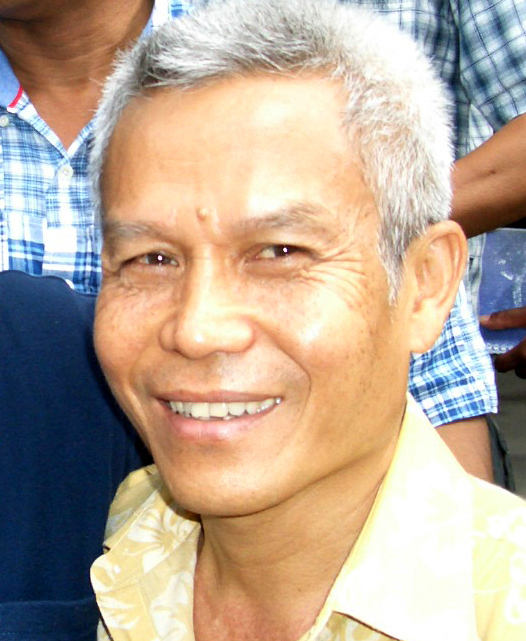 In many recent articles and statements related to Sombath’s disappearance, he has sometimes been billed as a human rights defender or a social/ civil society activist. These terminologies do not accurately depict Sombath, the man or his work. It is true that Sombath through his projects has worked tirelessly to advance the well-­‐being and support the building of human resource capacity of the rural poor. But, Sombath’s work has never been confrontational or antagonistic to government policy. Every project and every activity that Sombath has carried out, has been with the approval of the relevant government sector, and in cooperation with the local officials. This is because Sombath firmly believes that for any development program to be effective and have lasting impact, it needs to engage all sectors in Lao society -­‐ the government, mass organizations, NGOs, parents, teachers, youth, elders and villagers. This has been an abiding principle that has guided his work over the last 30 years. Sombath’s development philosophy is that of promoting balanced and sustainable development. Sombath has never opposed economic development, but he urges that economic development be balanced with spiritual well-­‐ being, social improvement, and environmental and cultural protection. Sombath believes that by pursuing a balance between these 4 pillars of development is in the long run, the best way to achieving social harmony, economic stability, and environmental sustainability. This thinking is nothing new, and is reflected in the Lao Government’s own development agenda as the basic conditions needed to reduce poverty, achieve the Millennium Development Goals, and get Laos out of its Least Developed status by 2020.